Wood has worked with the UK Government’s “housing accelerator” body – Homes England − and predecessors for about 20 years. Owners of newly built homes are being hit with higher heating bills because tough new energy efficiency standards were scrapped, a report has said. If the “zero carbon homes” policy had been implemented as planned in 2016, people moving into new homes would be saving more than £200 a year on their energy bills, the Energy and Climate Intelligence Unit (ECIU) study said. The zero carbon homes policy was first devised in 2007 as a requirement that new-build homes would not result in the net release of any carbon dioxide into the atmosphere, and was set to be implemented in 2016, the report said. But it was scrapped in July 2015 by then chancellor George Osborne – after having been watered down since it was first announced – as part of plans to boost productivity, including increasing house building. The report from ECIU said building a home to zero carbon standards would in theory add 1-2% on to the purchase price. But it suggested the impact of the help to buy scheme, which critics have said enabled sellers to ramp up prices because buyers only need to find a small deposit, on house purchase costs is much greater. The extra costs of the more efficient homes would be recouped through energy bill savings within a few years and may even have been absorbed by developers, the study argues. Since the beginning of 2016, some 380,000 homes have been built, and their heating efficiency falls short of what would have been needed to meet the zero carbon homes standards. 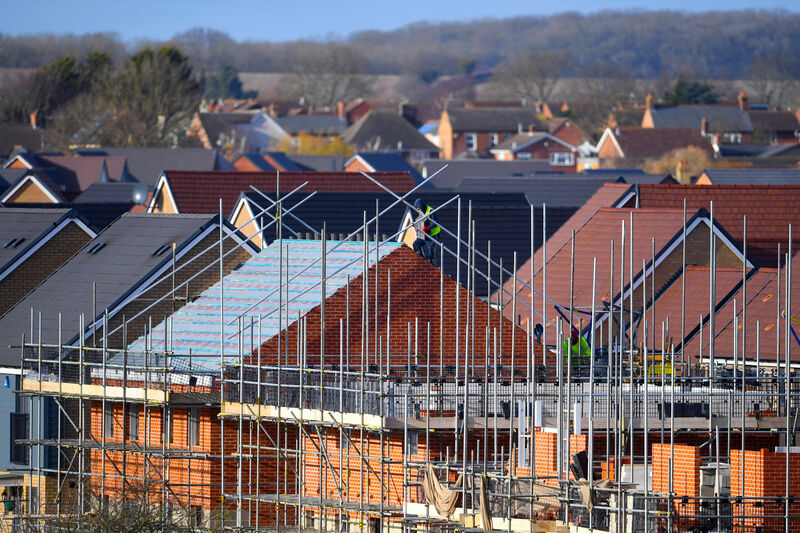 Current new-build homes require more than twice the energy to heat than a zero carbon home would have done – which based on current retail gas prices will have cost a cumulative £122-£137 million in England, the report claims. Families who moved into their homes at the start of 2016 will have been paying on average an extra £208 to £233 a year per year to heat their houses, it said. Dr Jonathan Marshall, ECIU head of analysis, said: “Successive governments have struggled to devise effective domestic energy efficiency policies, meaning carbon emissions from homes are rising, but zero carbon homes could have made a real difference. Minister of State for Housing Kit Malthouse said: “I don’t agree with the assertion that energy efficiency regulations have been watered down – in fact new homes built in England have increased in efficiency by over 30% since 2010. “As well as cutting carbon emissions to tackle the threat of climate change, our efforts have actually put an average of £200 a year back into the pockets of families.